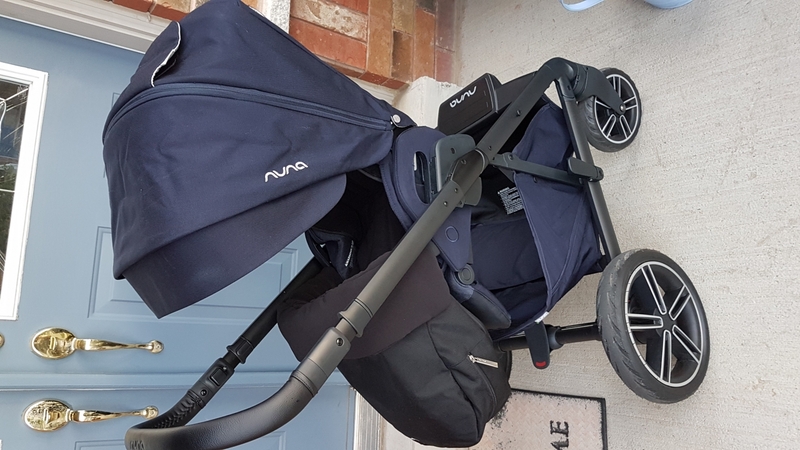 It fits the stroller really well by folding over the bar and fastens magnetically. There is still the gap between the bar & baby (I suppose you could pull up the folded section) so I also put a blanket over the legs inside this footmuff. But it stops him kicking off the blanket and is nice and warm. This was a great purchase. 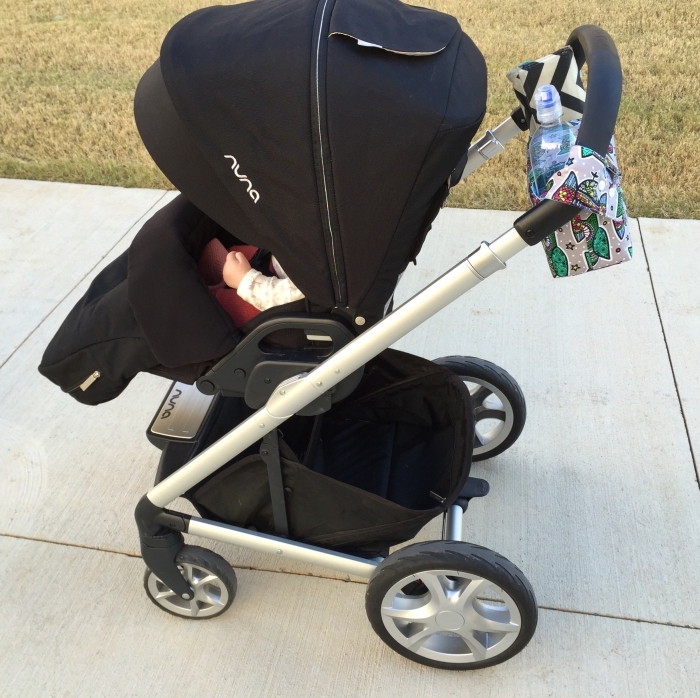 The footmuff really keeps blankets in place and toys in the stroller instead of having them fall on the ground. the footmuff keeps the wind off of my sons legs and feet. I really wish it came in the Indigo colour but no regrets purchasing it. ConsI wish snaps were used instead of magnets to hold the footmuff over the belly bar. With enough kicks, my child at kick it off the belly bar, but it won't fall on the ground. Best UsesKeeping blankets in place, and covering toes! Just like what other people have said, it only covers the legs and best suited for a taller/bigger child. 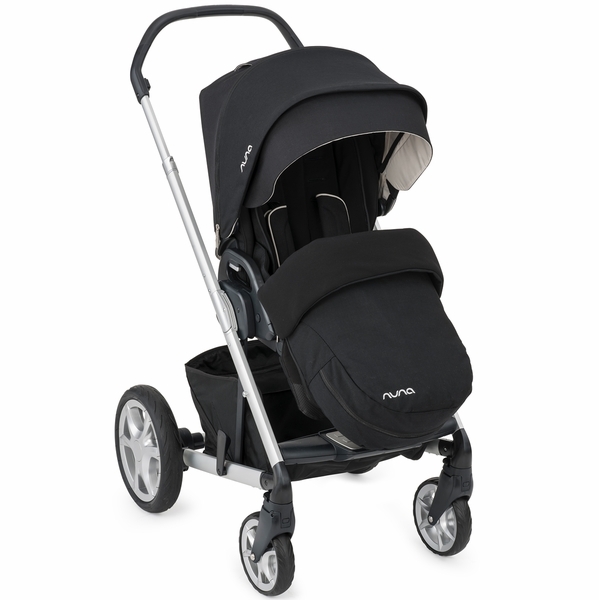 The material is a bit stiff compared to the seat material of the Nuna Mixx2. 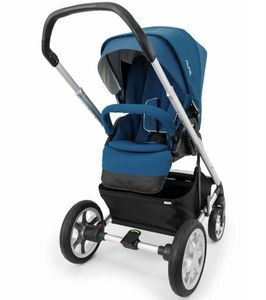 It only comes in black but goes well with my Indigo Nuna Mixx2. This is a beautifully made footmuff. Great quality. However, not made for an infant or small toddler of petite size. ProsLove the zipper for extendable space at the bottom of the feet. And the maganetic feature at the top is sleek and handy. It does seem to catch all the stuff my daughter likes to kick off or throw out on our walks. ConsIt really only covers the feet of a child. If using for a baby or small child is might not even cover their legs. 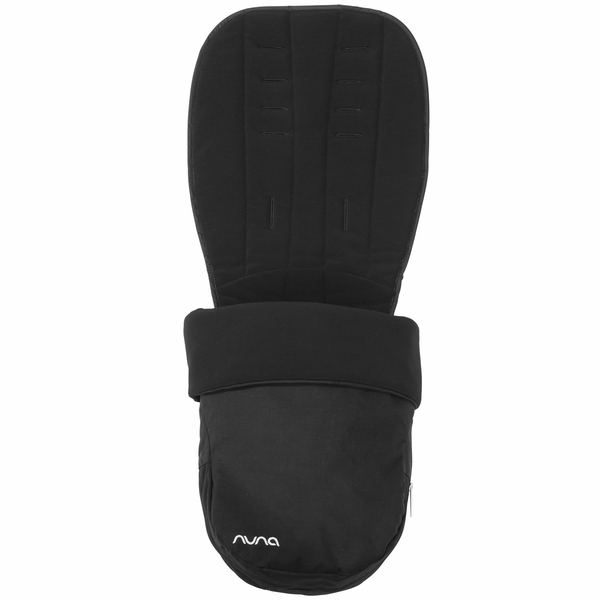 I recently purchased this footmuff for my Nuna Mixx. Unfortunately it doesn't go up high at all, so the baby is still pretty much exposed to the cold except legs and feet. I also am not too fond of the magnets holding it in place, they come undone quickly.However it's still practical since my daughter used to throw any blanket I put on her onto the floor. Now we just put a blanket to cover her upper body and stick it slightly into the footmuff which makes it really cozy for her and holds the blanket in place.Installment was easy. 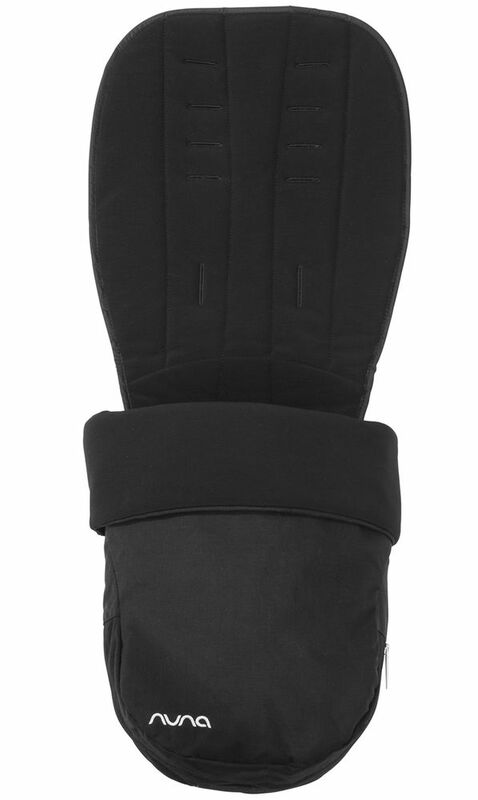 Not the best footmuff for super cold weather but good enough for a little chilly weather. ProsEasy installment and easy to remove. Looks nice and sleek. ConsMagnetic closure not optimal. Doesn't go high enough to cover upper body of the child. Also not very thick. 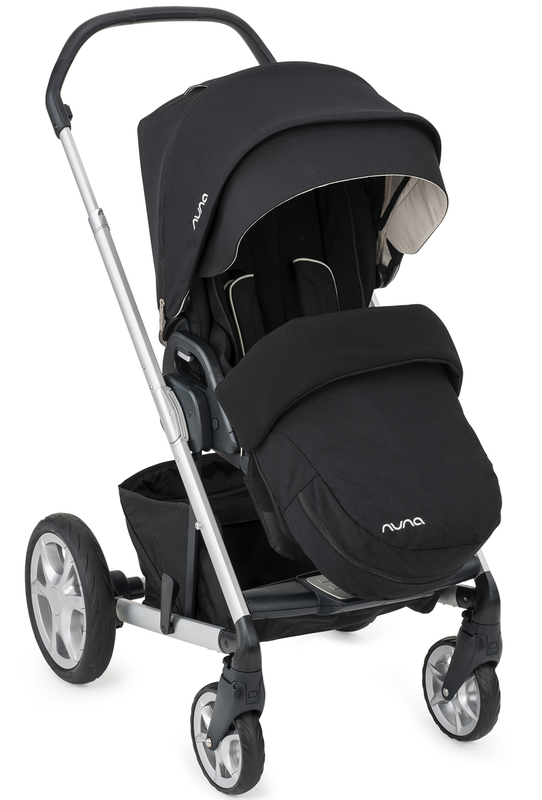 Just like my other Nuna products, this seat liner did not disappoint. It's very clearly well made using quality materials and it functions better than expected. 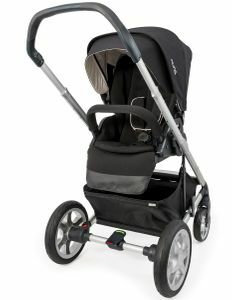 It keeps my baby warm on those chilly walks without needing all those extra layers you would need without a footmuff liner. Which means baby is more comfortable. ProsExcellent construction and materials. Very easy to install. ConsStays affixed with magnets. Would be better with heavy snaps as the magnets come undone easily. Rather disappointing expected something much nicer from nuna. Does not come up far enough. I would not use this alone on a cold winter day here in Chicago. Doesn't seem warm or of good quality I will be returning and ordering another brand. Will this work with a Nuna Demi Grow? 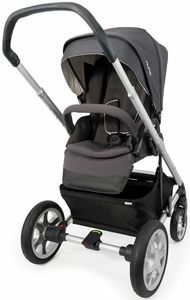 Per Nuna, this will not work with the Demi Grow stroller.